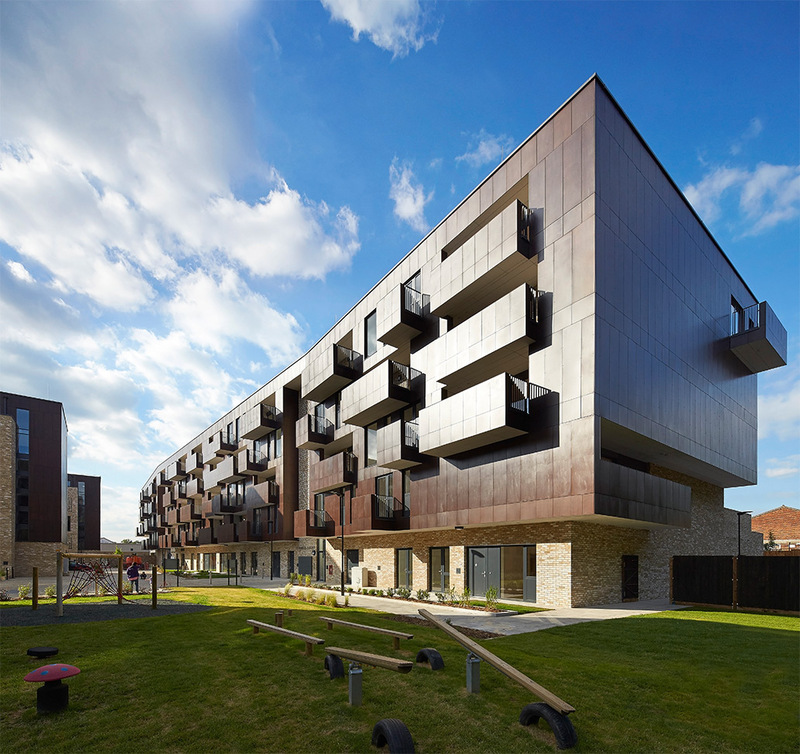 Alpine Place redevelops a 1.4ha mixed-use site in Brent. Made up of four blocks, the scheme comprises 144 residential units, 1,800m2 of B1 office accommodation and six live/work units, as well as underground car parking spaces. 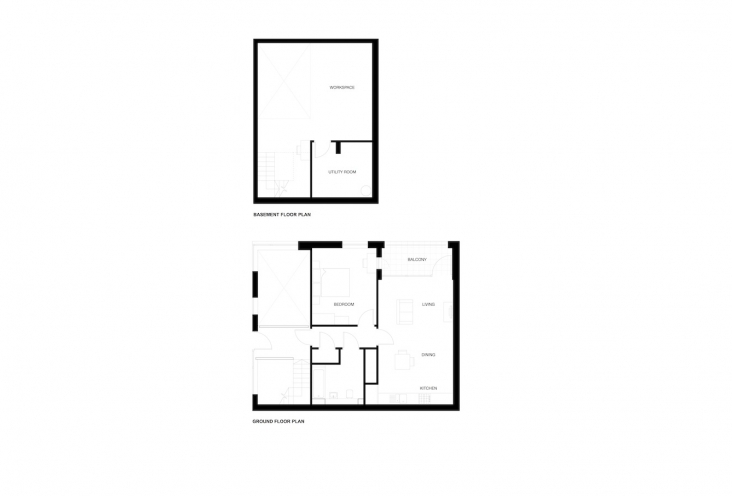 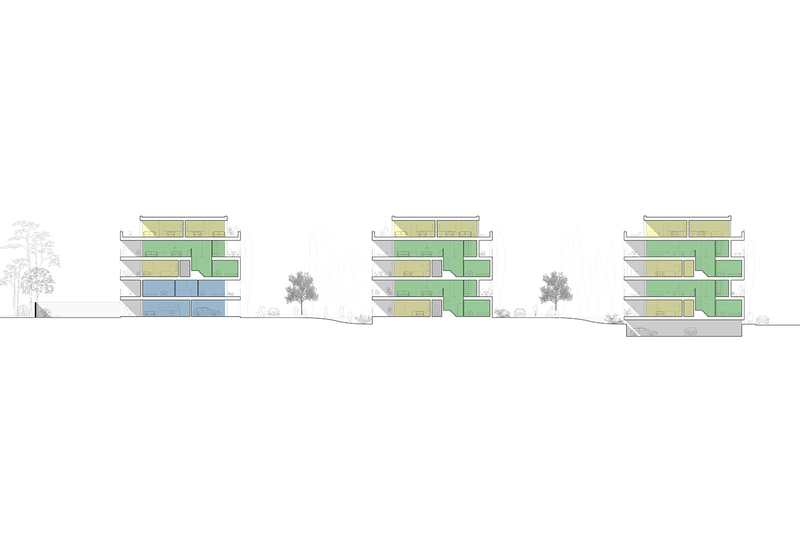 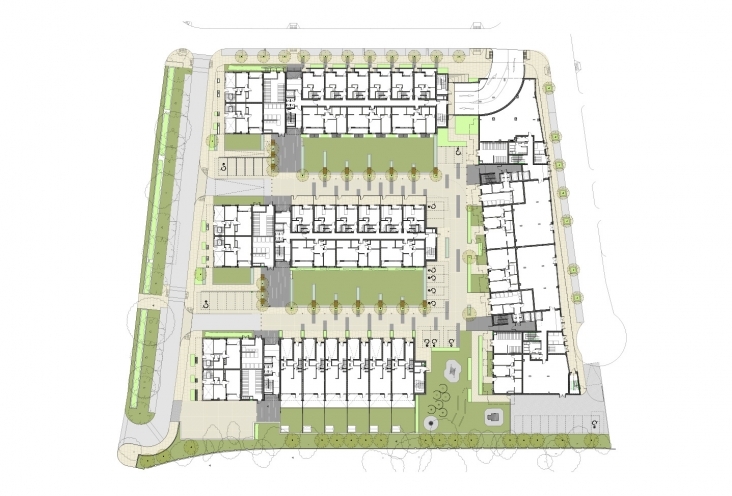 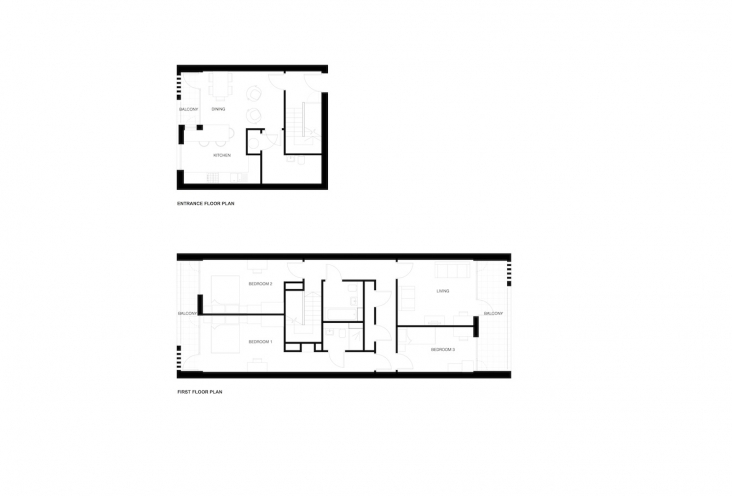 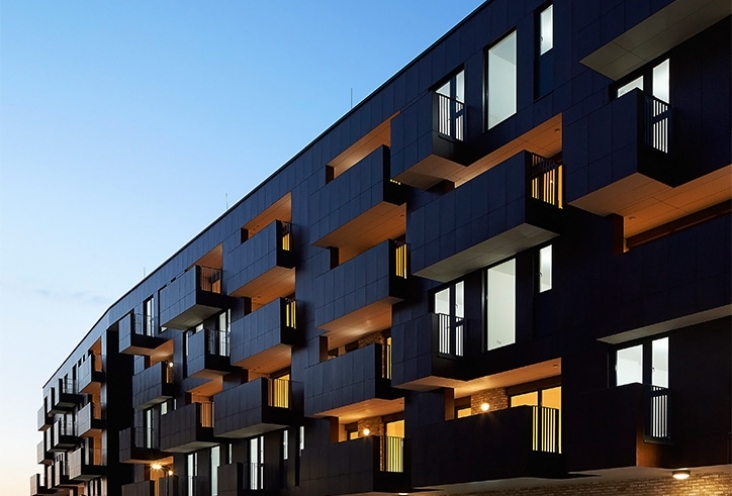 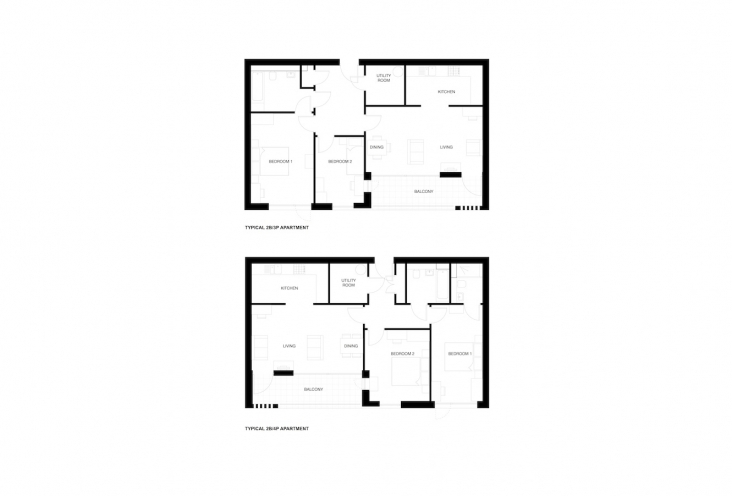 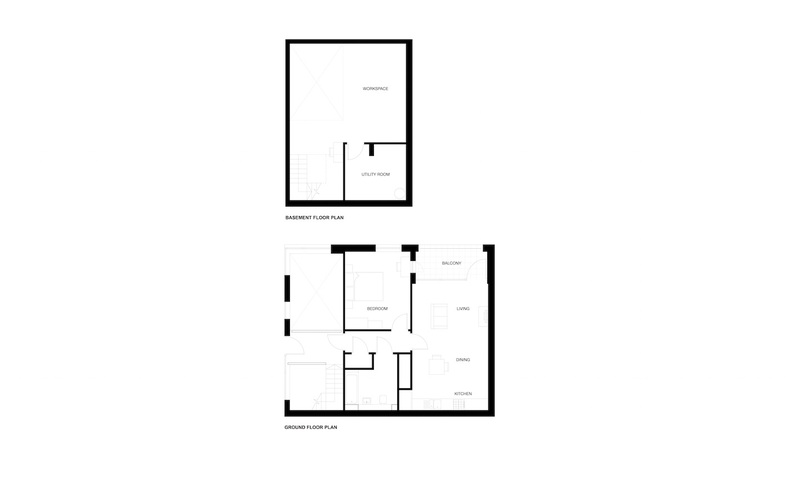 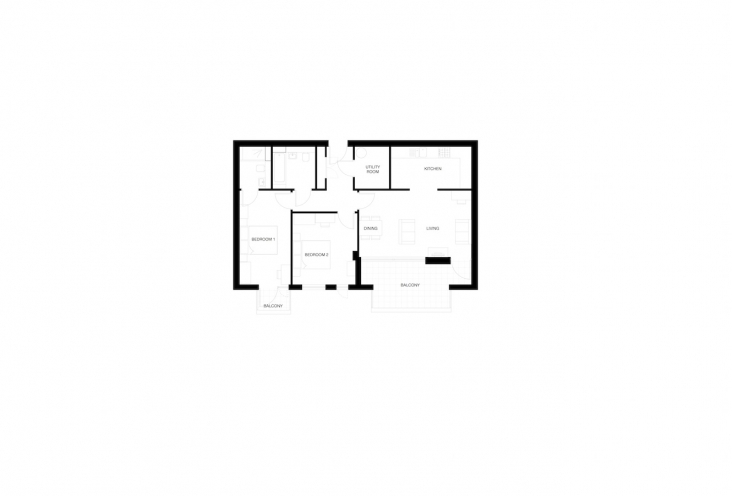 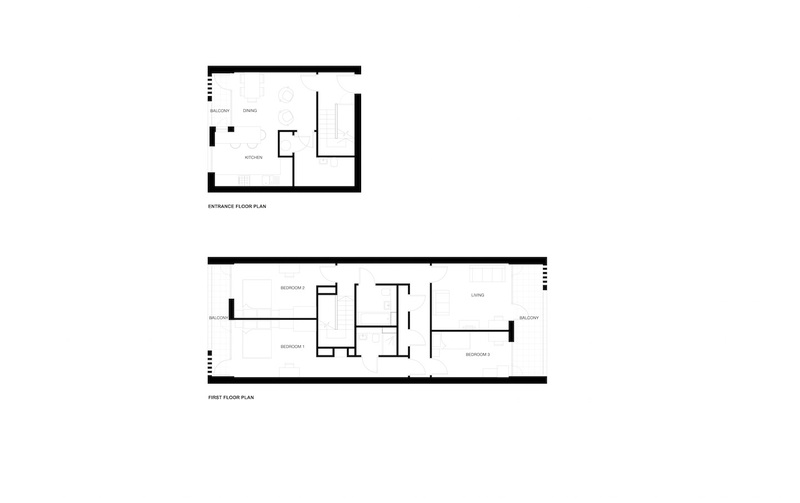 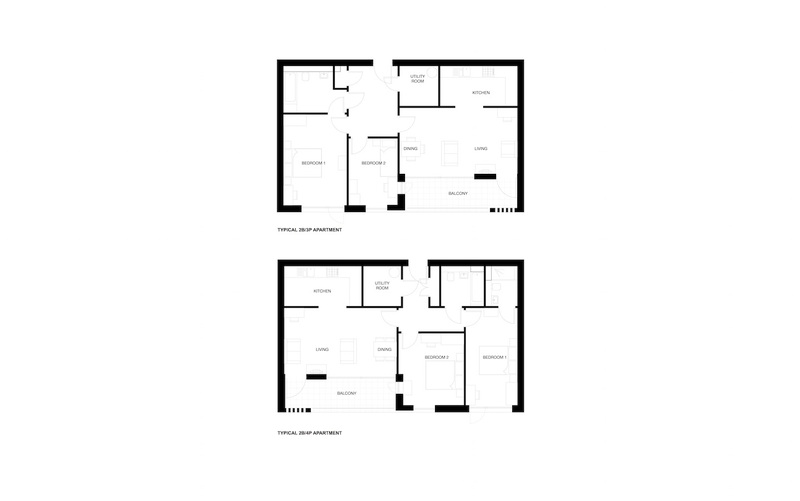 The development is arranged in four buildings (A – D): Building A – Affordable housing and Live / Work units; Buildings B & C – Market housing and Live / Work units; Building D – Market housing and class B1 commercial. 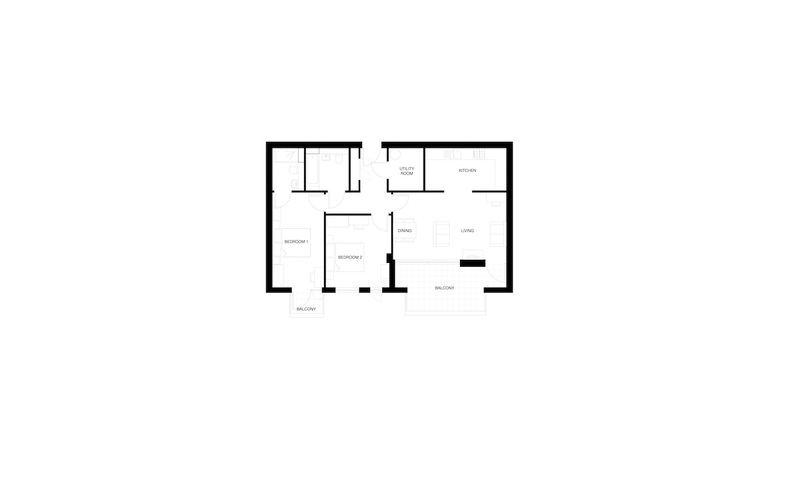 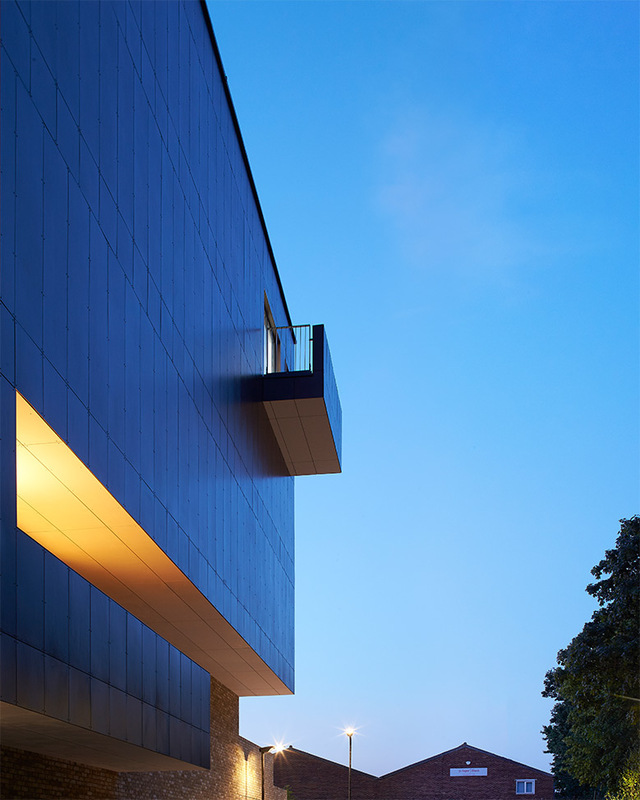 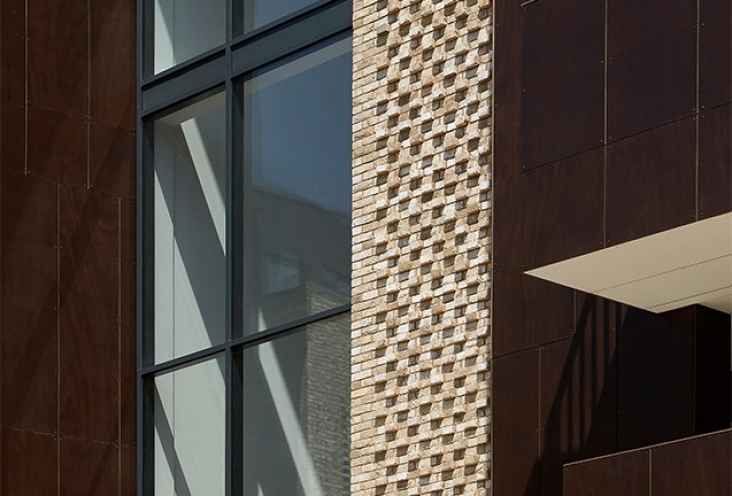 The materials are consistent throughout the scheme. 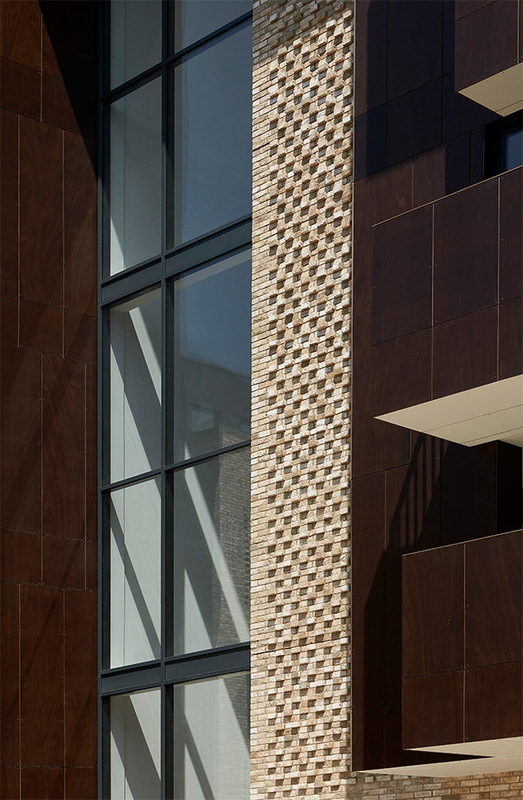 Buff brick is the primary component for buildings A – C. Building D is different in its appearance and reverses the materiality of the others being clad in wooden veneered panels (Parklex), reflecting both its orientation to the other buildings and its use, containing a significant area of B1 use class. 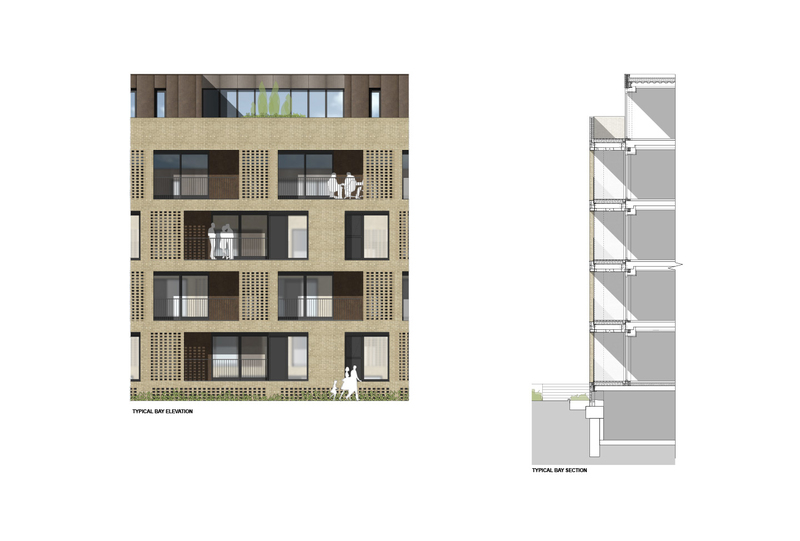 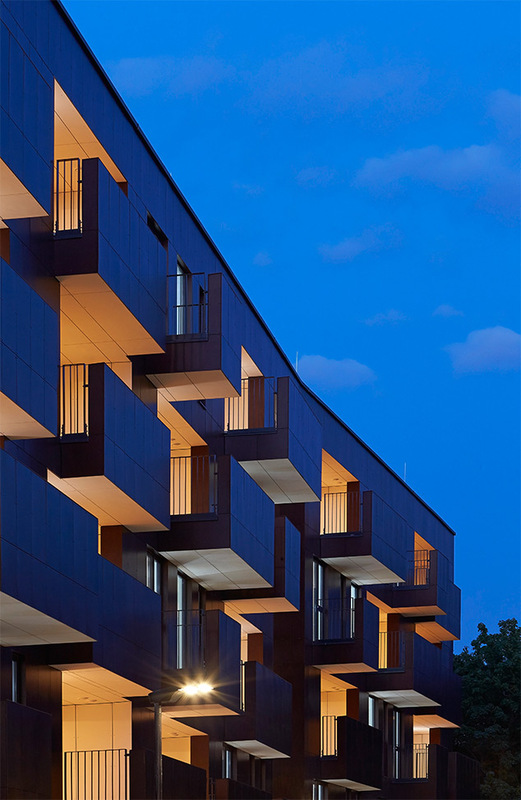 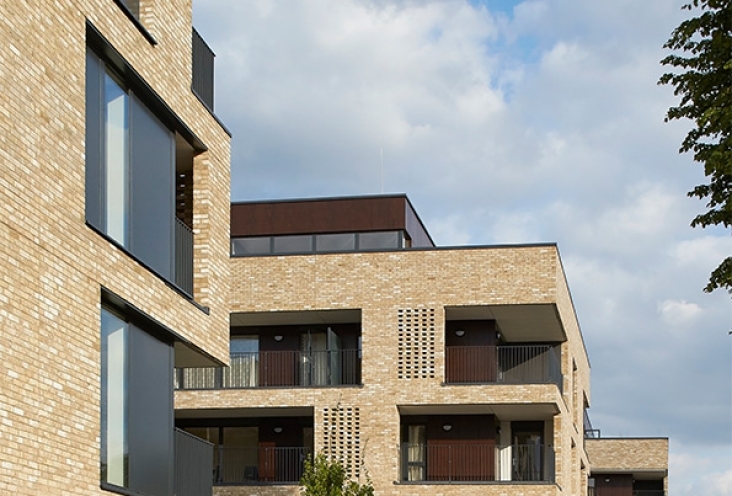 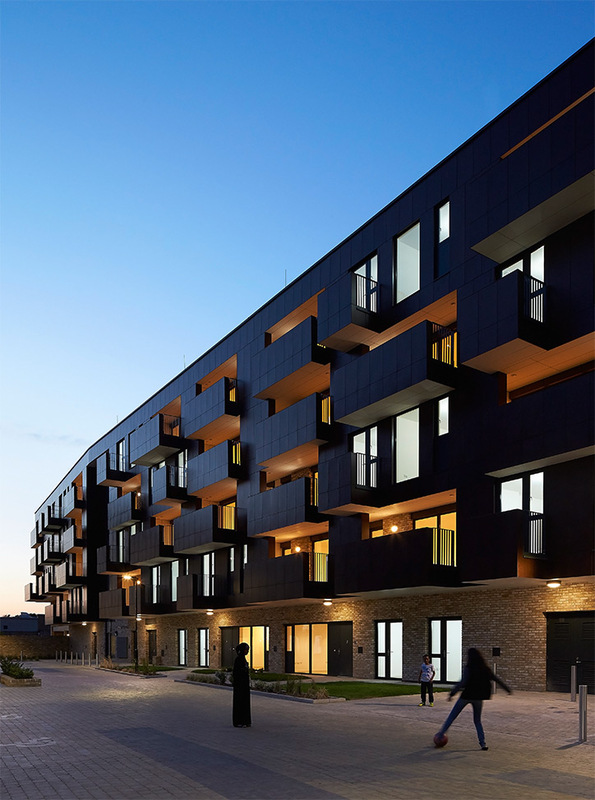 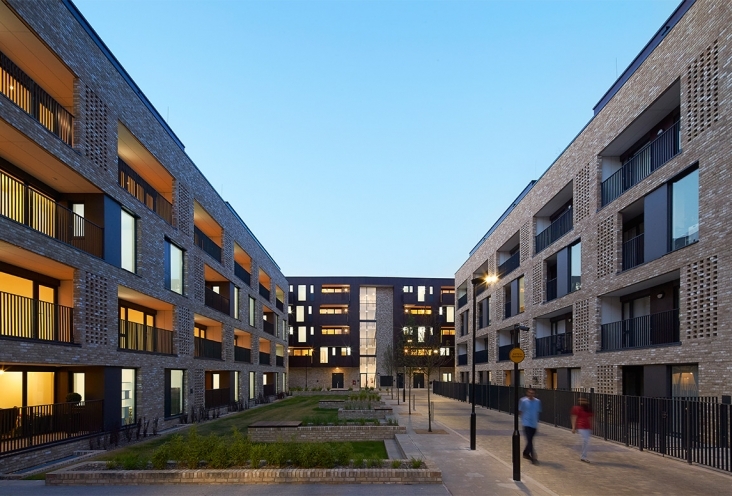 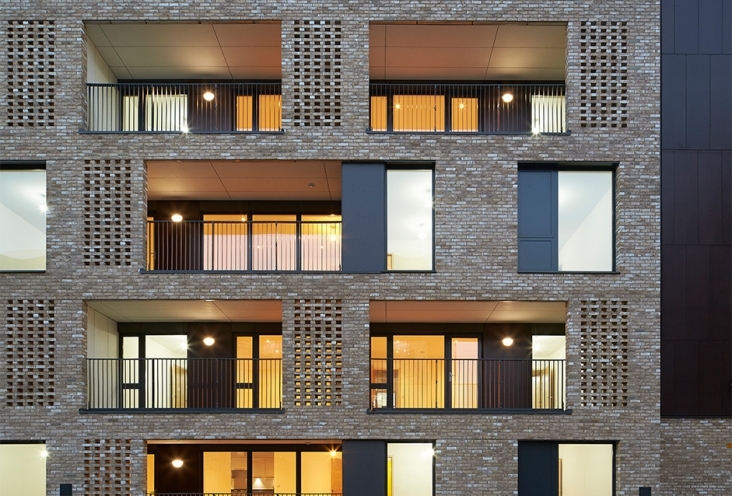 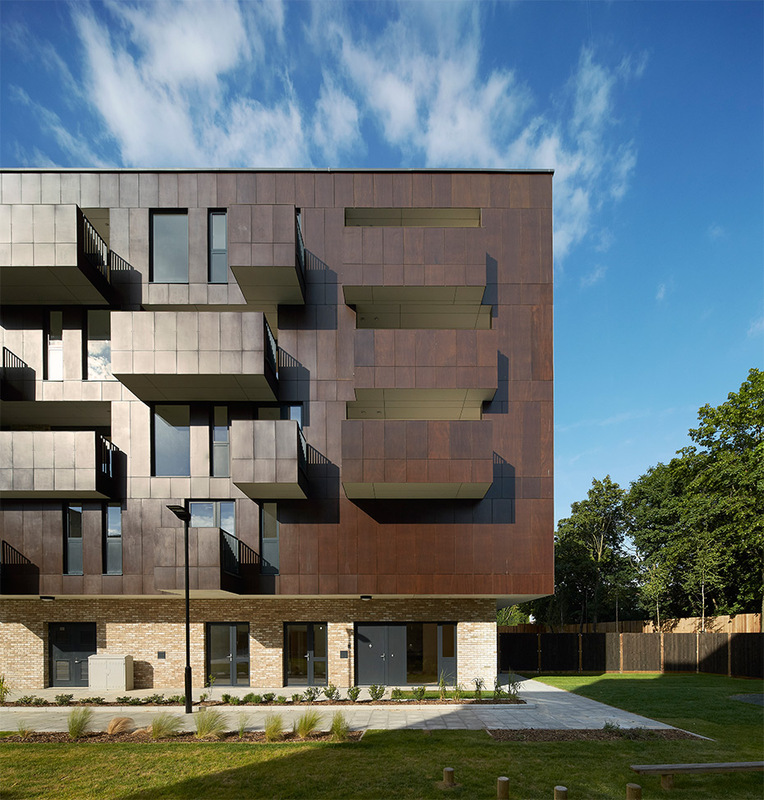 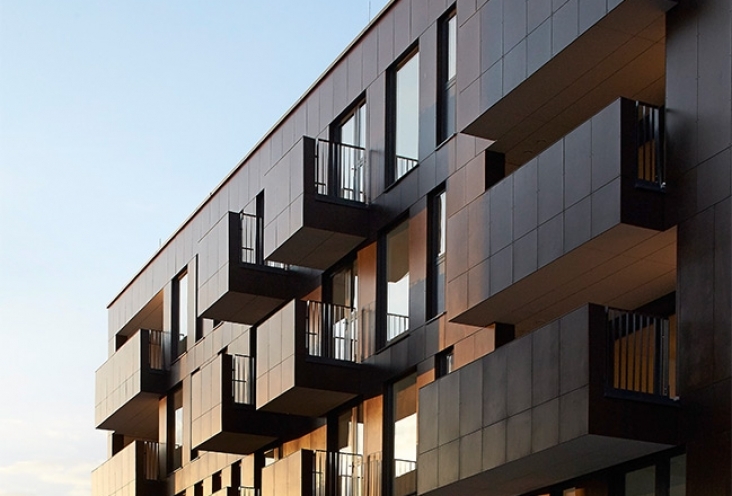 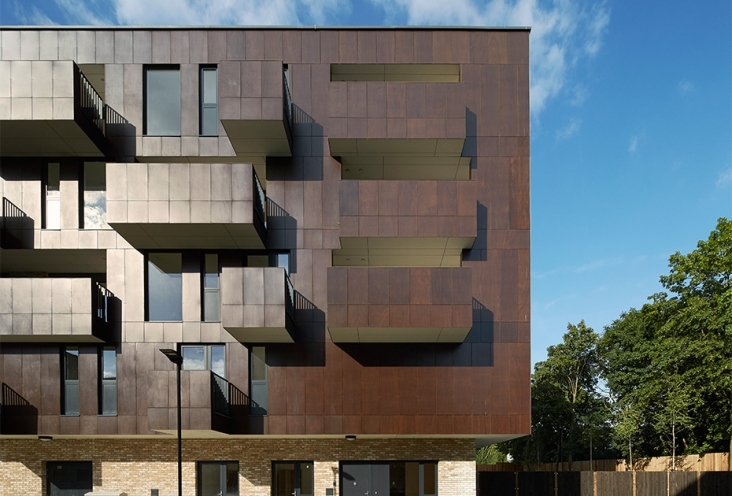 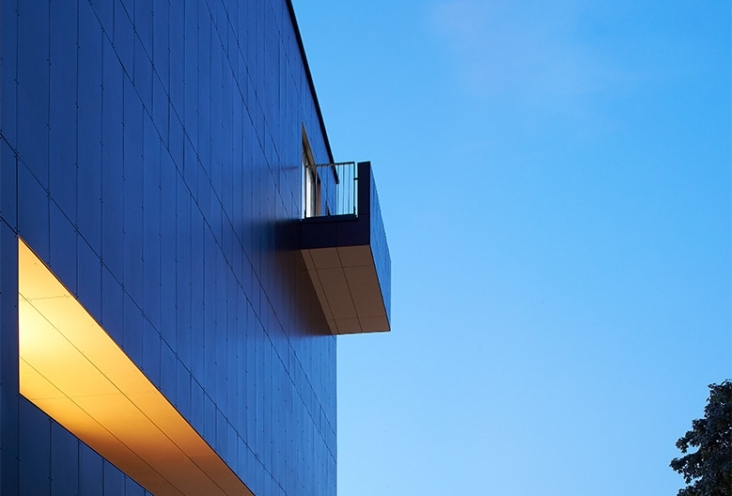 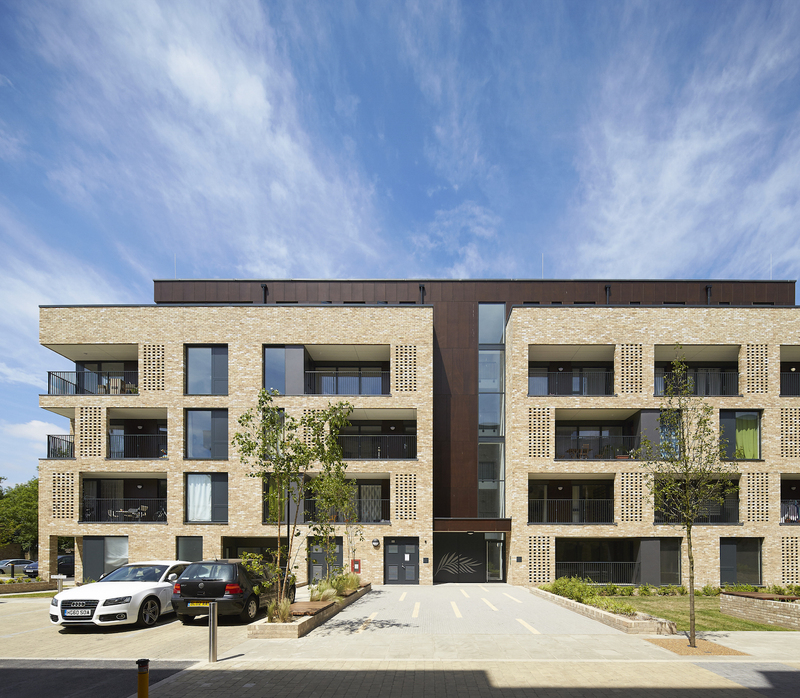 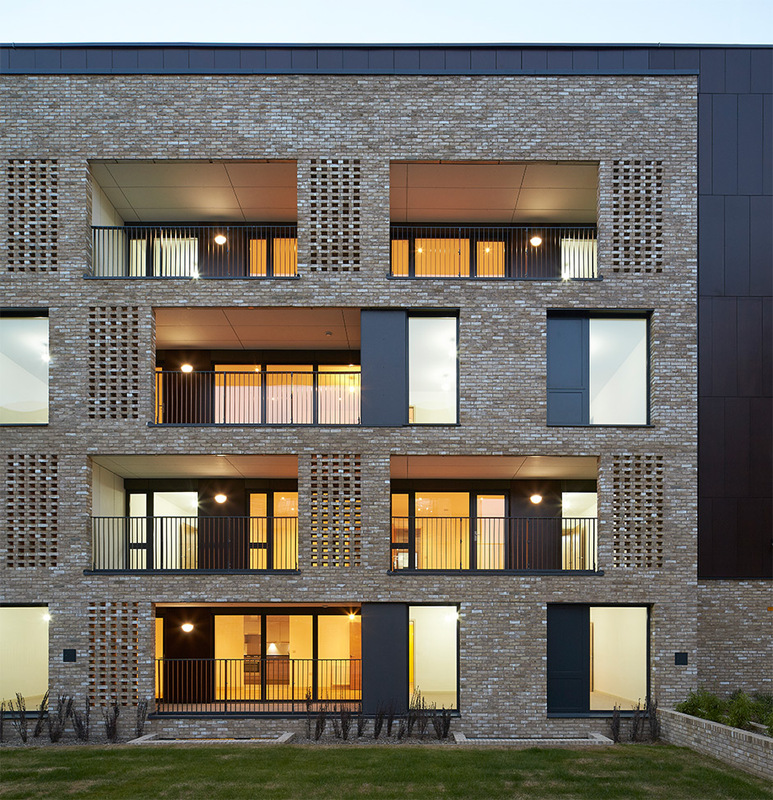 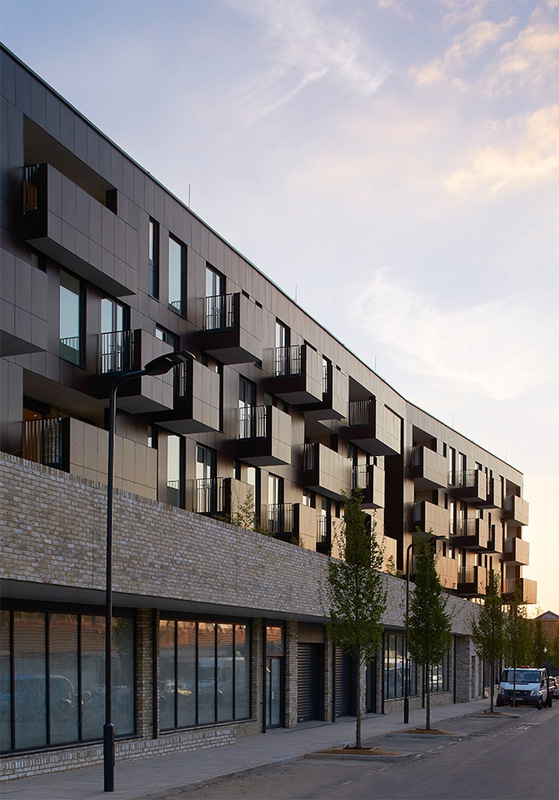 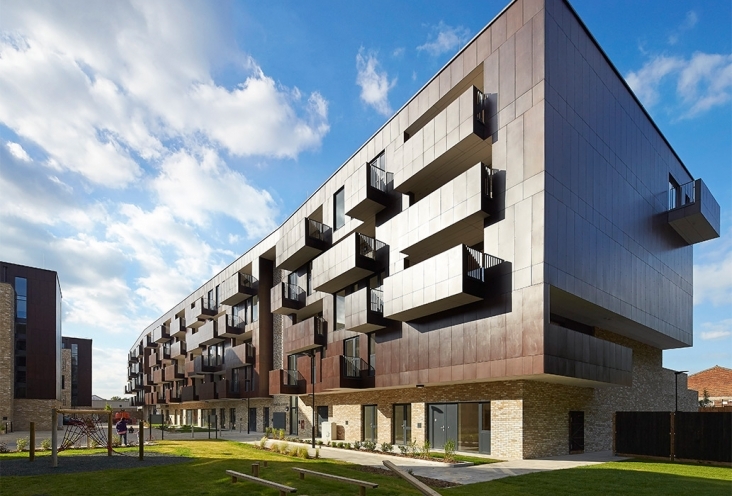 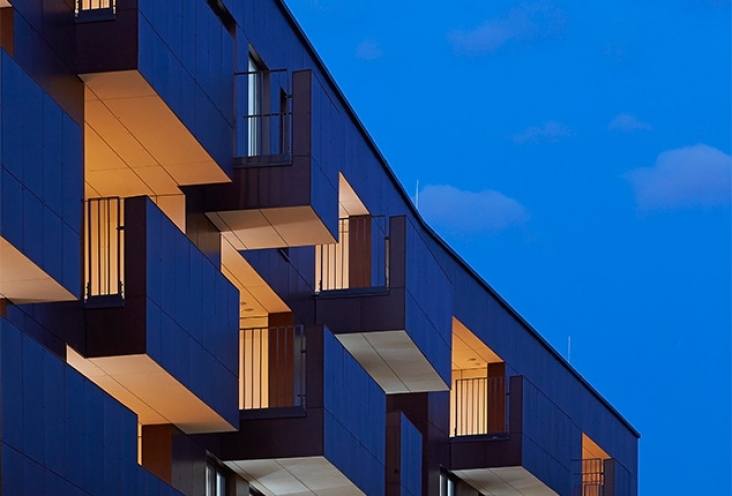 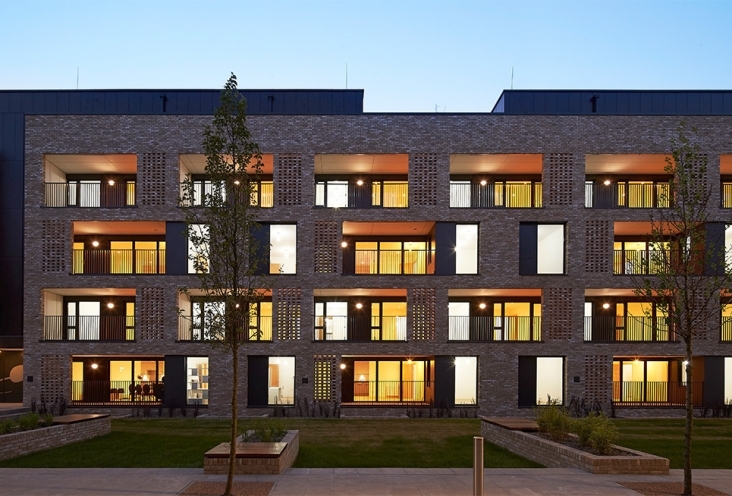 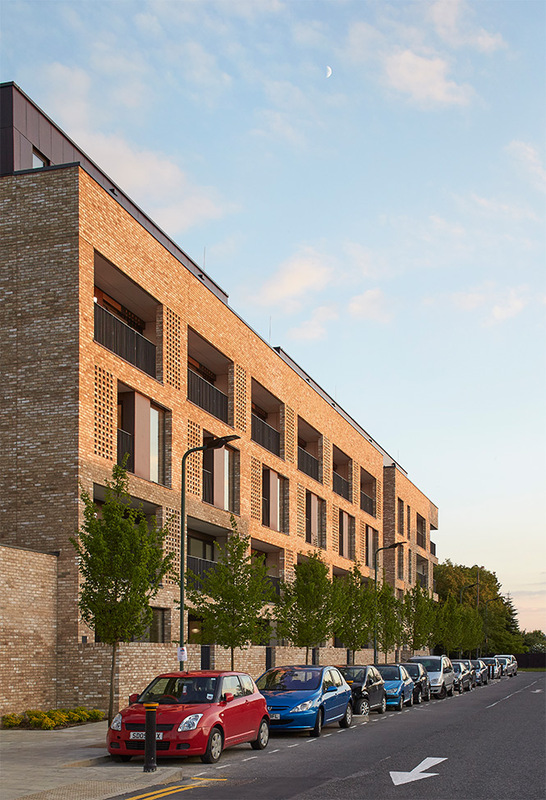 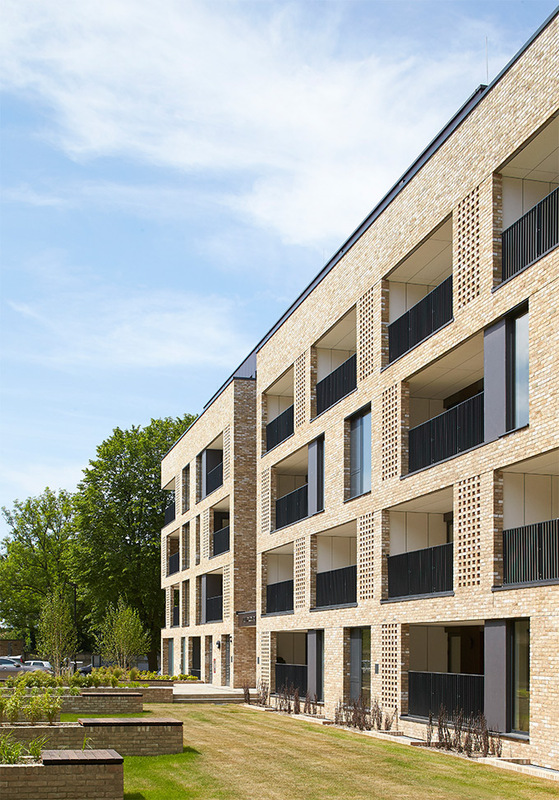 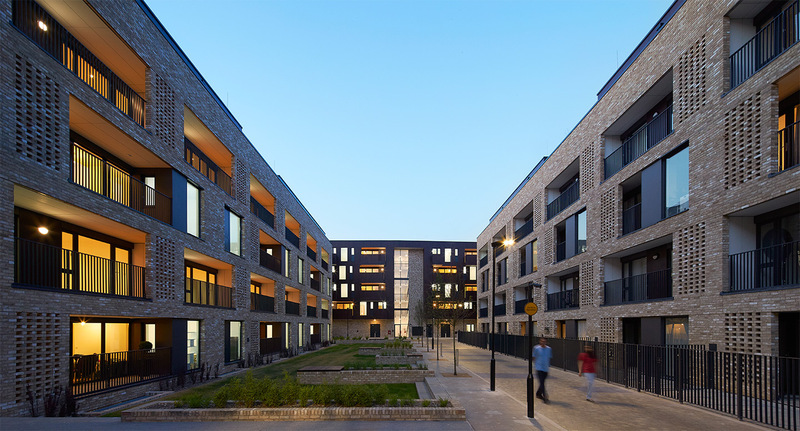 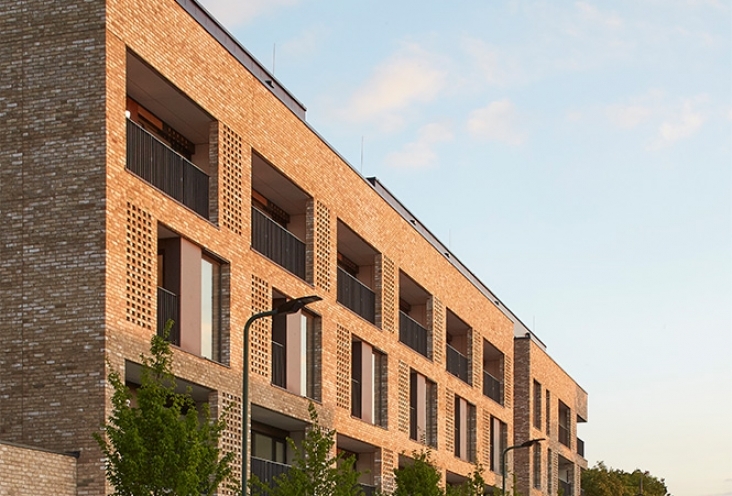 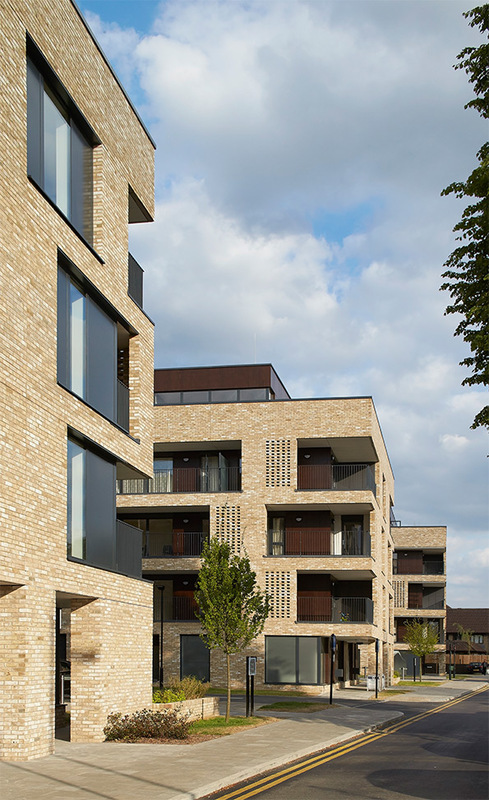 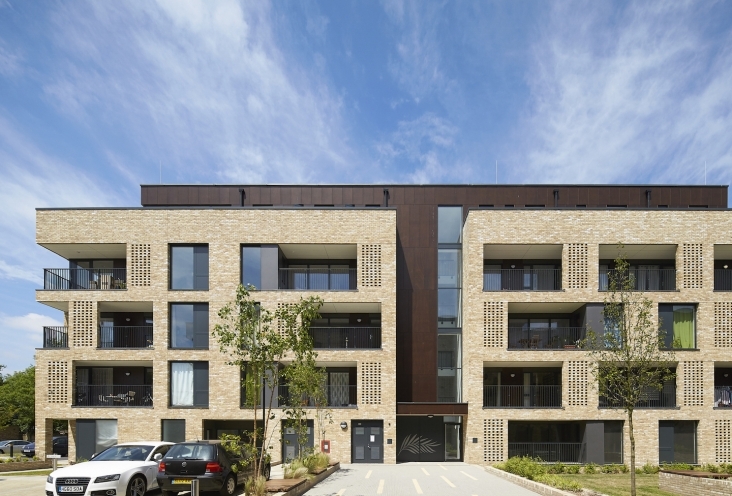 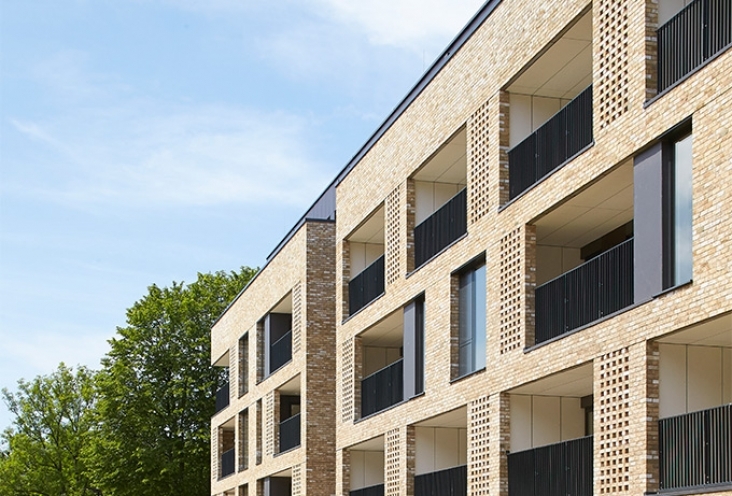 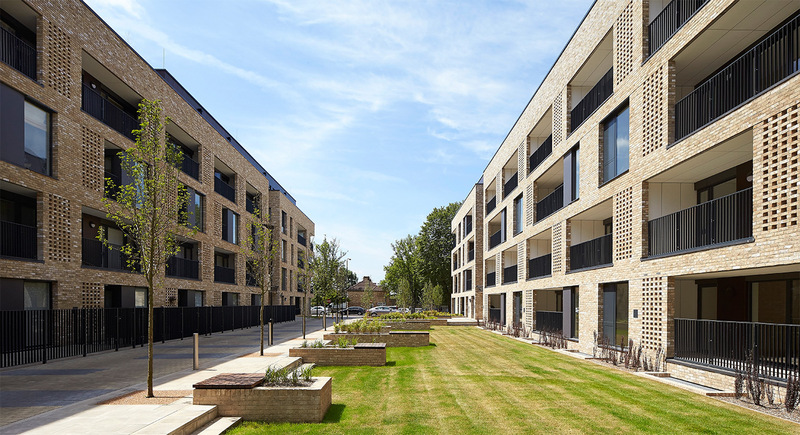 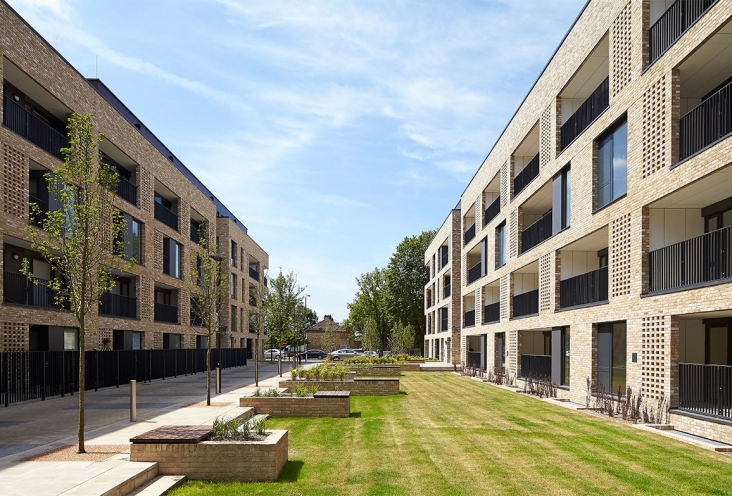 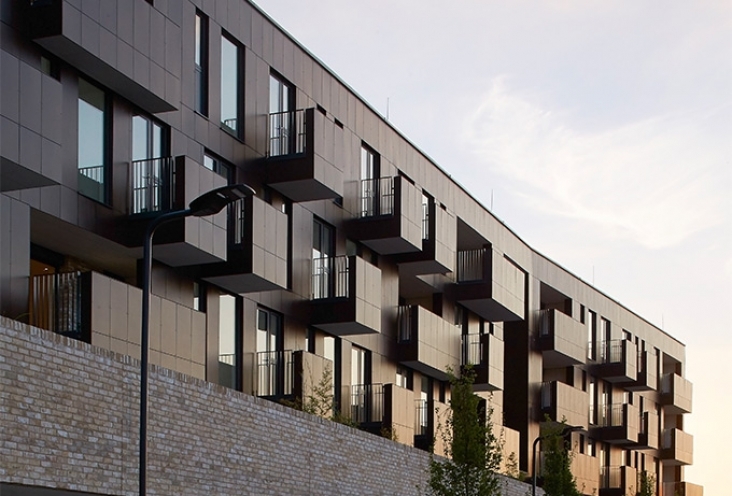 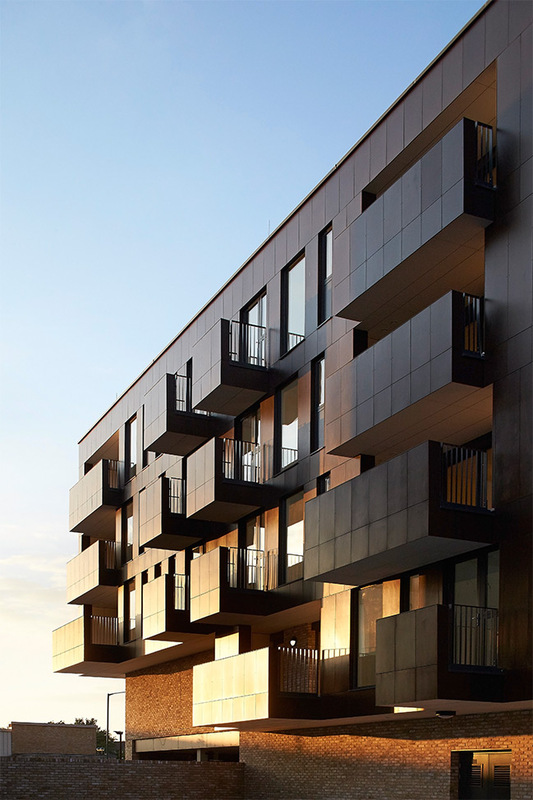 The scheme has a controlled ‘home zone’ area, minimising all but essential vehicular access, thereby creating an improved pedestrian environment, with ample shared amenity spaces which residents and visitors can enjoy.